Nokia is making the best phones it has made in years right now. The Lumia 925, the Lumia 1020, and with ongoing speculation that a Lumia tablet is coming, it's an exciting time to be a Nokia fan. The company only has one real problem: the message. 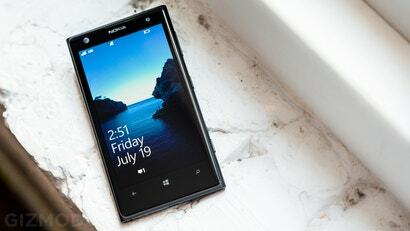 This is taken from our full review of the Nokia Lumia 925 posted today. We've given Nokia a pretty decent serve in the past in regards to its convoluted product line-up, and it continues to do itself no favours in the arena with the addition of the 925. It almost feels like a fresh coat of paint on the 920 so Nokia can sell more of the hardware it had kicking around the factory in Finland, and that's disappointing. To recap, on the market right now — in descending order — is the Lumia 925, the Lumia 920, the Lumia 820, the Lumia 720, the Lumia 620 and the Lumia 520, with the Lumia 1020 presumably coming soon. The differences between all these handsets — as you'll see from our extensive reviewing — is minor at best, and the devices all pretty much look and cost the same (save a few $100, perhaps). Six handsets and barely daylight between them. The last company to try flooding the market was Samsung, and that actually worked out pretty well. Samsung didn't want to waste time with consumer marketing surveys to see exactly what sort of form factor or product type made it in the market, so any handset or gadget idea it came up with got a product sticker and a price slapped on it before being released unto the world. At one point last year, Samsung had something like 15 tablets in the Australian market alone, all with different form factors. It actually worked out pretty well for Samsung, and now Nokia is clearly trying the same strategy, except it's not really working. Samsung has more money than God, so flooding the market with devices and marketing them cleverly has paid even greater dividends. Nokia's strategy of flooding the market comes seemingly without a decent message behind it, so confusion abounds. Go into a telco store right now and ask a sales consultant to explain the differences between Samsung's range of phones on the market right now and then explain the differences between Lumias. I guarantee confusion and the checking of a spec sheet more than once. There's nothing wrong with trying to make a profit and more products on the market leads to greater avenues for revenue, but clearly something needs to be done about simplifying and at the same time, strengthening Nokia's product offerings. Eliminate phones like the Lumia 620, Lumia 720 and Lumia 920 and stick with the Lumia 1020 as a flagship product, Lumia 925 as a mid-range offering and the Lumia 520 on pre-paid for even sub-$100. Then you have a simplified offering that lays out the benefits in the same way a lot of internet service providers now offer their services: small, medium and large. Simple, easy and on point.